Very happy to have tried a new place. 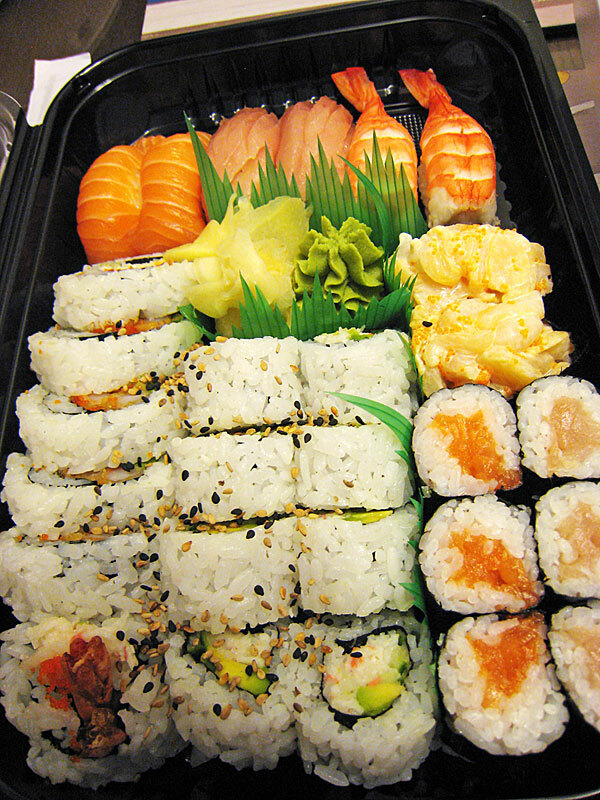 Quality over quantity when compared to Sushi Garden. 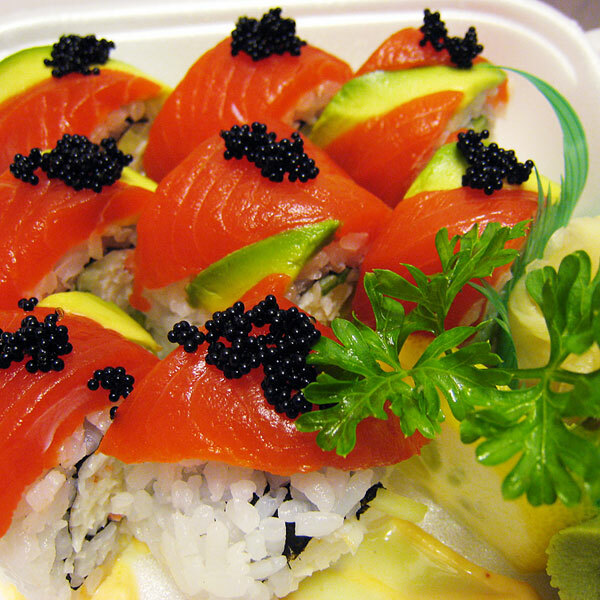 Above is their Sockeye Salmon Roll. 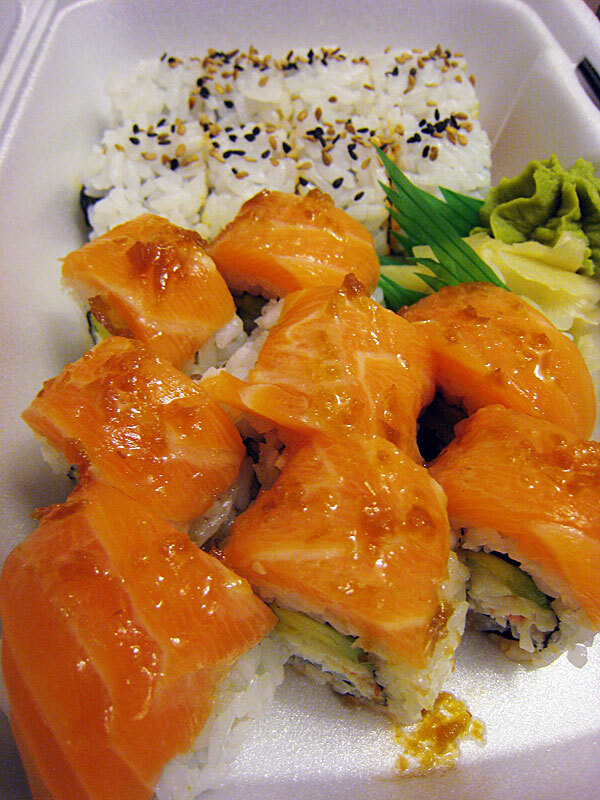 The Alaska Roll (left, front) has a sauce dribbled over it that is reminiscent of tempura bits. Spicy tuna roll (left, back) with two kinds of sesame seeds. Party Tray A on the right has a wonderful selection. 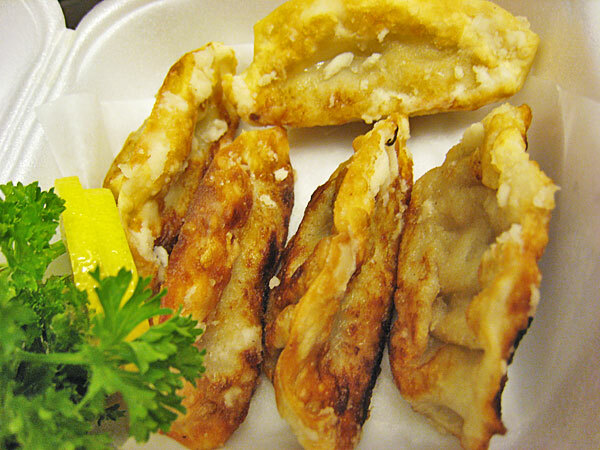 Gyoza here is deep fried and filling is standard. 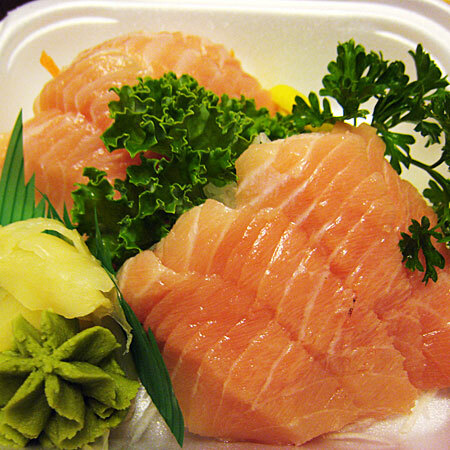 Toro (tuna) sashimi melted; so fresh it had a hint of sweetness. Thanks for the review, Cece! Making me hungry looking at the pics, and I just had a big breakfast….must try it out.